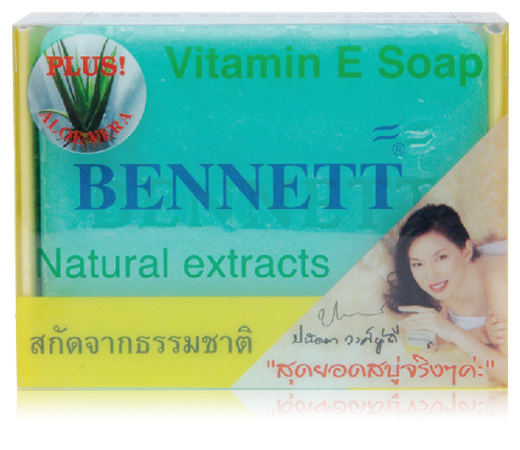 All natural Vitamin E Soap with Aloe Vera is a natural herbal soap made in Thailand. 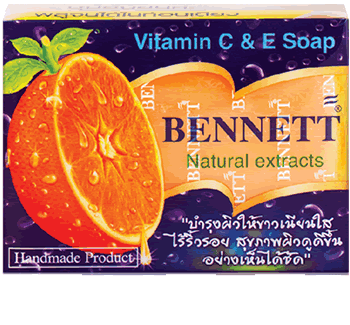 Made from natural extracts this soap is great smelling and good for the skin with nourishing vitamin E and Aloe Vera natural extracts. This is all natural hand made soap is made from the finest ingredients that will clean your skin and leave it feeling refreshed and enriched with vitamin E. Try a bar and you will love it and see the difference from the standard soaps. 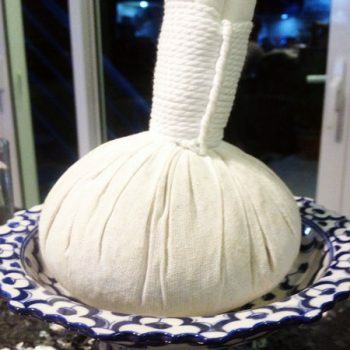 This is an all natural soap. 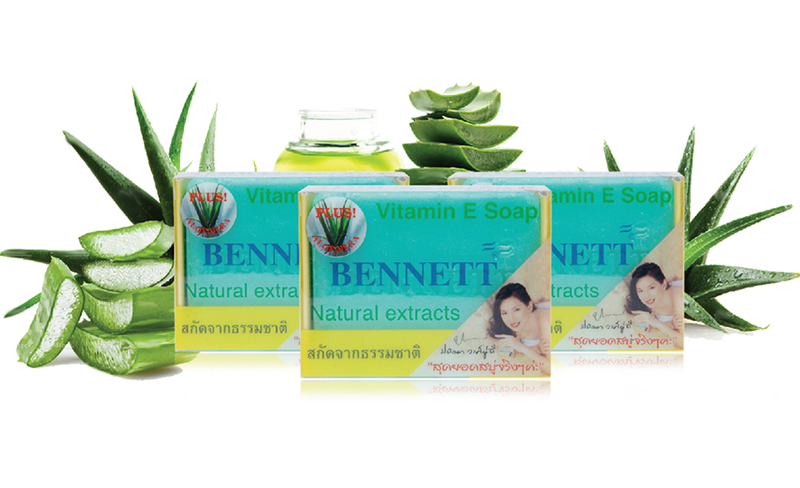 Everything in this all natural soap is good for the skin. 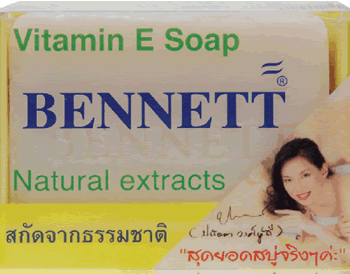 Vitamin E protects the skin from wrinkles and fine lines. Vitamin E acts like a sponge that will absorb free radicals before they can destroy skin tissues, thus strengthening the cell walls, making skin cells stronger.